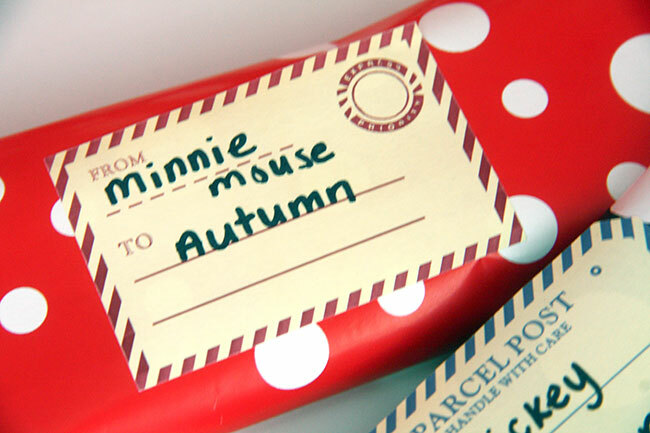 Mickey Mail is on its way once again! For our upcoming Disney trip, I wanted to do something special for the kids each morning. I decided to do Mickey Mail again, which we did during our last trip. 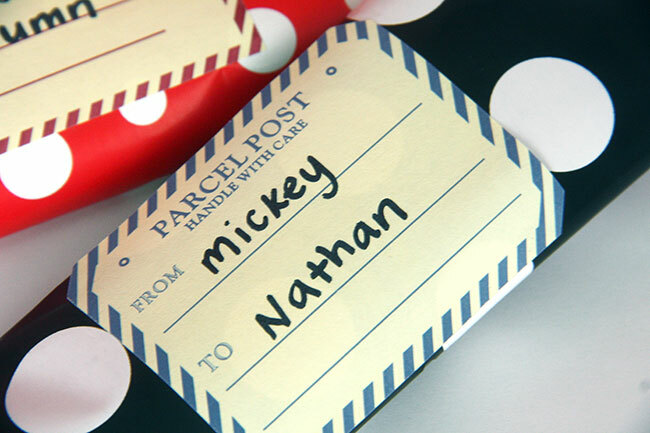 You can see the post I did for the Mickey Mail they received during our trip that was two years ago by clicking HERE. Every morning, Mickey and Minnie Mouse (and even Elsa one morning!) 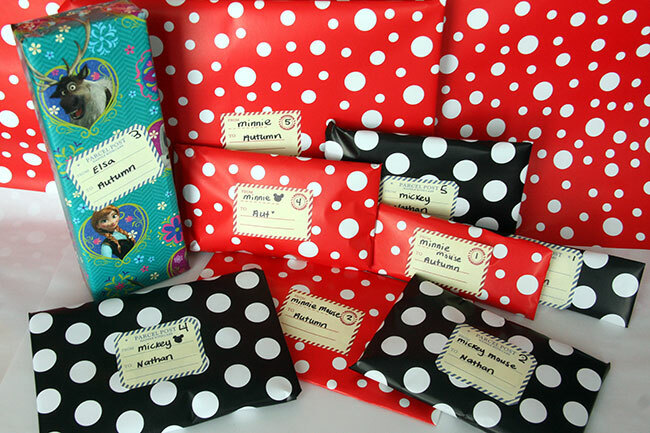 will bring a wrapped gift to our room. 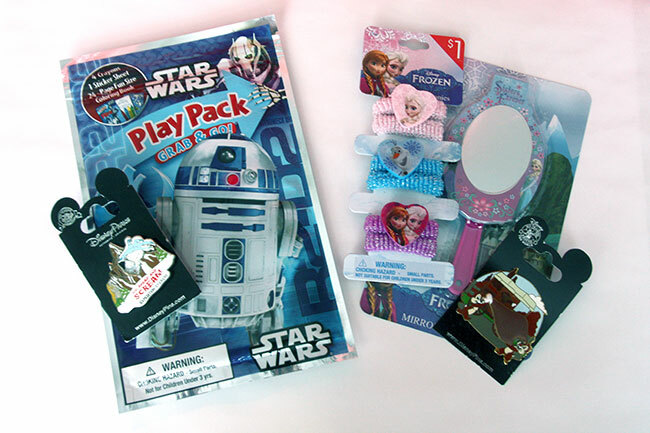 These are all little gifts I found at the Target Dollar Spot or on Amazon. This will also save me money on buying them souvenirs (I hope!). Some of the big gifts during our Mickey Mail this time will be a pressed coin collectors book for Nathan and both kids will receive collectors pin lanyards. At the Disney parks, all of the characters, some of the restaurants and other kids have pins and you can ask them to trade with you! It is a lot of fun and my kids were just not old enough for it last time. 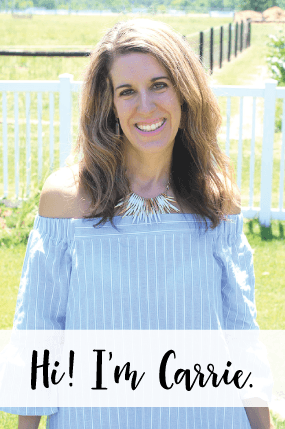 This year, we are going to give it a try and I can’t wait! ALSO, you can’t pack wrapped gifts in your luggage if you are flying… SO, I mailed all of these in a USPS flat rate box to our resort! Easy peasy! I also mailed a box FULL of snacks to our hotel, which will save us a TON of money! We have the dining plan, but the kids are always hungry for some extra snacks. These are all of the gifts that I purchased for our five nights at Disney! 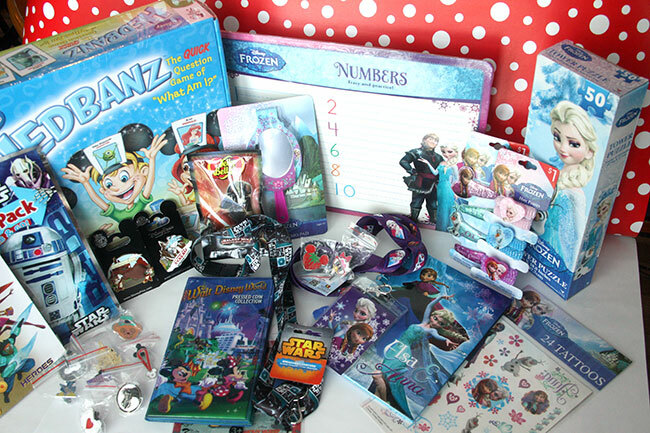 As you can see… there is A LOT of Frozen stuff! My girl is SO excited to see Elsa and Anna and we already have our Fast Pass booked! We are also going to see the Elsa and Anna Sing-Along! CAN’T WAIT. We are even dragging the boys along with us to see the sing-along. Some of these gifts were from our travel agent, too! She sent the kids a bunch of goodies in the mail! 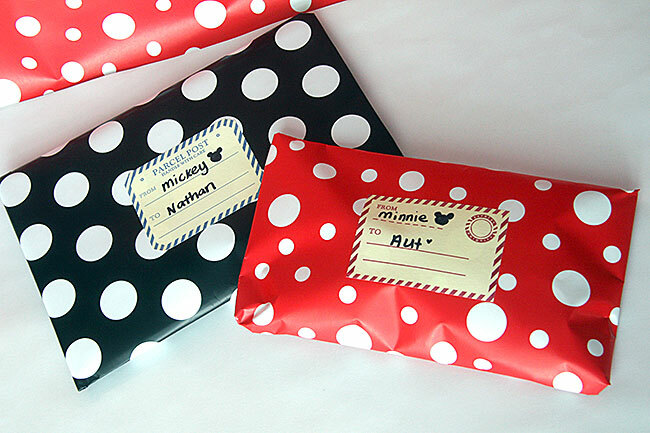 Hobby Lobby carries red and black wrapping paper with white polka dots and I’ve used it for both of our Disney trips for the Mickey mail! 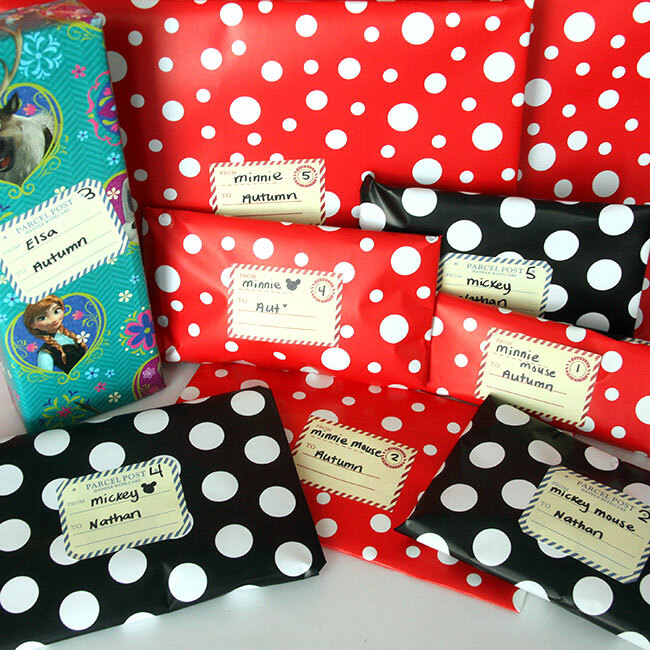 I love their wrapping paper, it is thick, has guides AND they give you a HUGE roll for $5! 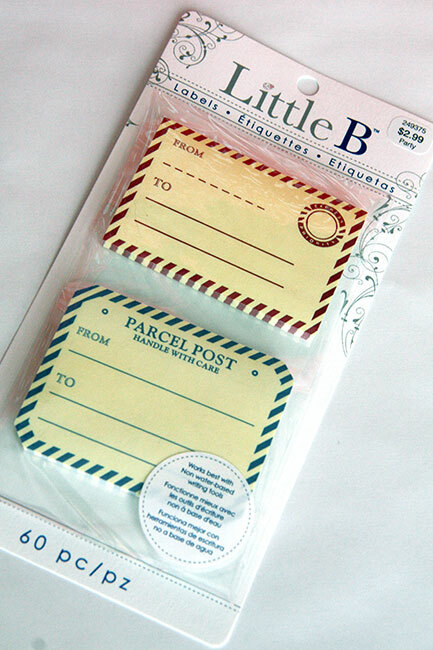 And, look as these adorable mail tags I found at Hobby Lobby, too! They are sticky on the entire back (like a post-it note!). This is what the package looked like that they came on. This is why I love Hobby Lobby, they have the best stuff! Now I’ll share what the kids will receive each day on our trip! 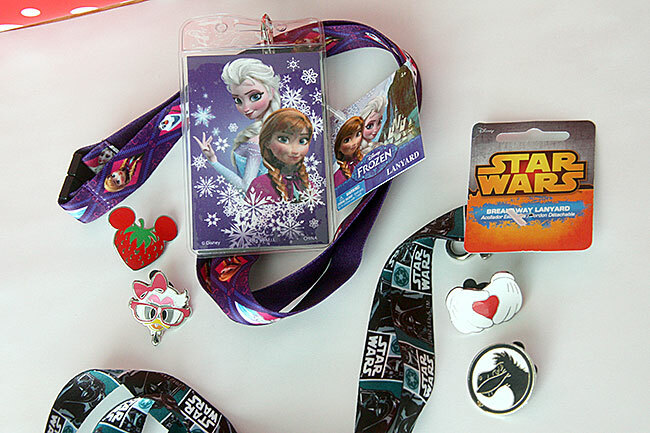 The kids will receive their trading pin lanyards and some inexpensive trading pins to get them started with. We’ll also probably buy some new ones, too. 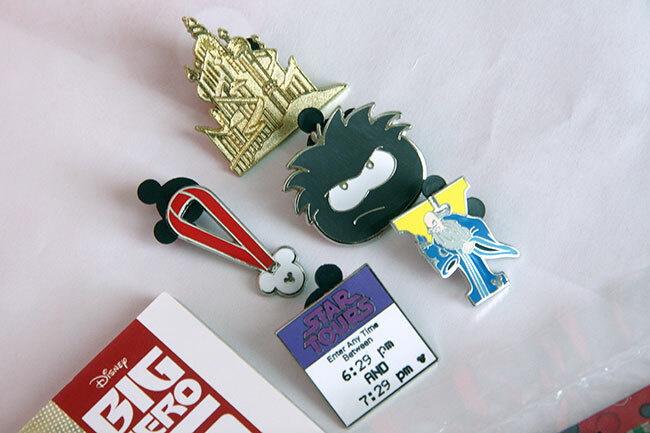 We already heard where they have hidden the Tomorrowland pins! Nathan is getting his pressed coin collectors book and some Darth candy. 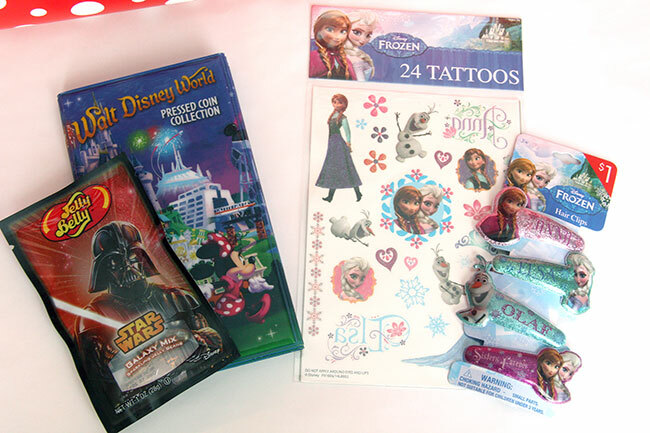 Autumn is getting a couple of Frozen items, tattoos and hair barrettes. I thought she’d enjoy wearing the Frozen tattoos since she’ll be seeing Elsa and Anna this day! 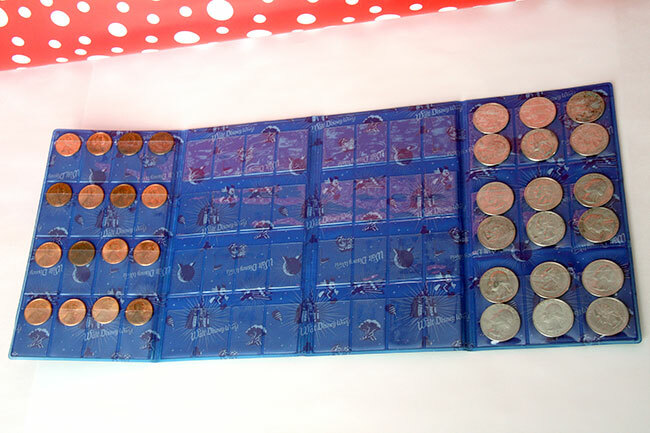 I even put some quarters and pennies in Nathan’s pressed coin book so that he is ready to start collecting! Since we’ll be having a lazy day in-between the park days, I thought this would be a perfect day to give the kids their games! 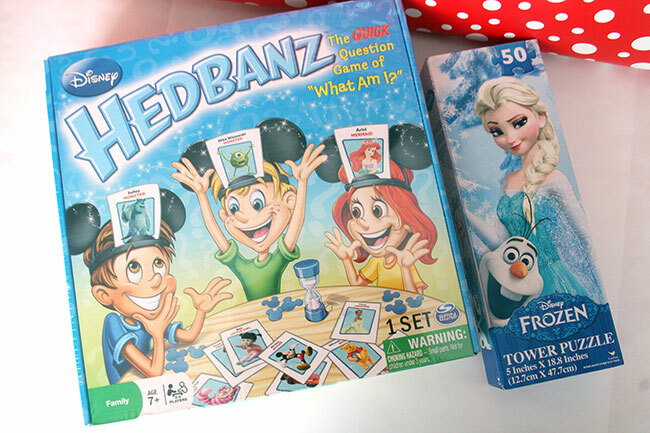 This Hedbanz game fit in the flat rate box, I was so excited! And, Autumn loves puzzles… so, she got this cute little Frozen puzzle. I thought we could all enjoy the Hedbanz game, too! This is also the day that I am having Elsa bring Autumn’s mail! 🙂 I had some leftover Frozen wrapping paper from her last birthday and used it. 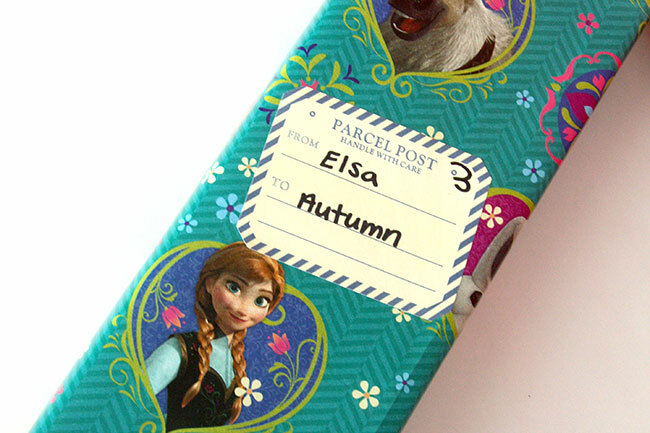 She also knows how to ‘read’ the name Elsa, so she’ll get a major kick out of this package label! 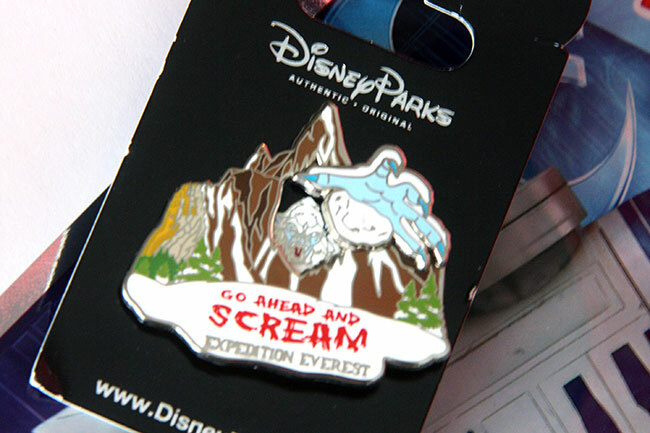 Today I’m giving Nathan a Star Wars play pack and a pin I bought separately on Amazon that is of the Expedition Everest ride. The Expedition Everest is his favorite rollercoaster at Disney and today is the perfect day to give it to him since its at the Animal Kingdom! Autumn is getting some more Frozen stuff from the Target dollar spot and a pin of the chipmunks (she loved them last time!) that our travel agent sent us. Nathan is getting some more pins, an activity book and cheap puzzle. Autumn is getting a dry-erase board for writing numbers, but I wish it was for lowercase letters instead. When I bought this she was still working on her numbers, but knows them now… there is a neat little game on the back though and we could maybe somehow use it for practicing lowercase letters if I draw the letters on there. 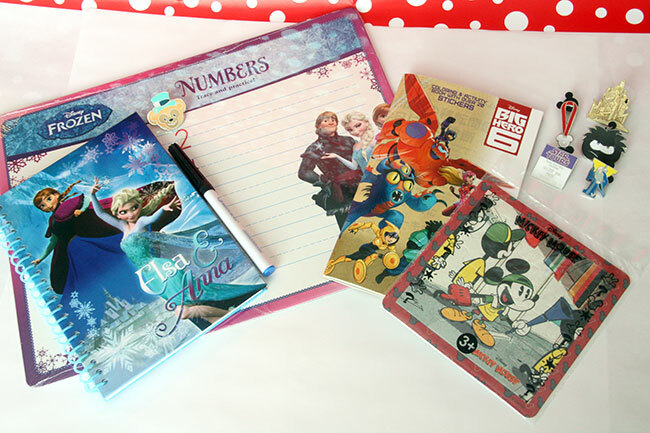 She’s also getting a Frozen spiral writing album. A close up of the pins Nathan is getting this day. And, that’s it! I hope they enjoy their Disney mail while we’re in Disney and hopefully it’ll make the trip a little more magical (not that it won’t be already! ).